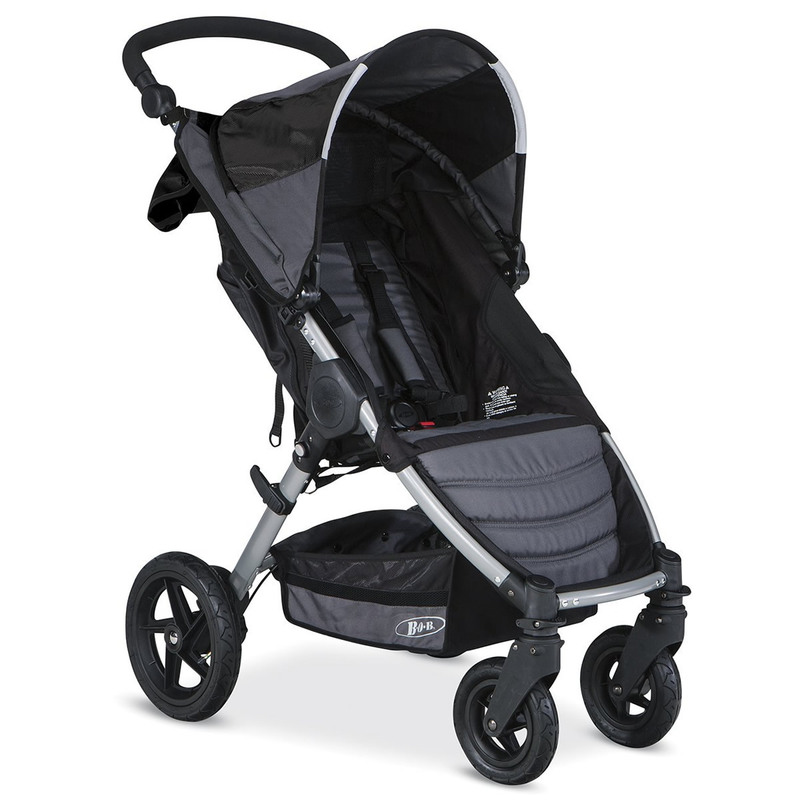 The BOB Motion Stroller is ideal for your everyday adventures. The Motion is compact, lightweight, and easily transitions from strolling to storage with the one-hand, quick-fold and automatic frame lock. Four pneumatic tires mounted on high impact polymer wheels, paired with the rugged spring suspension system, provide a smooth ride over bumps in the road ahead. 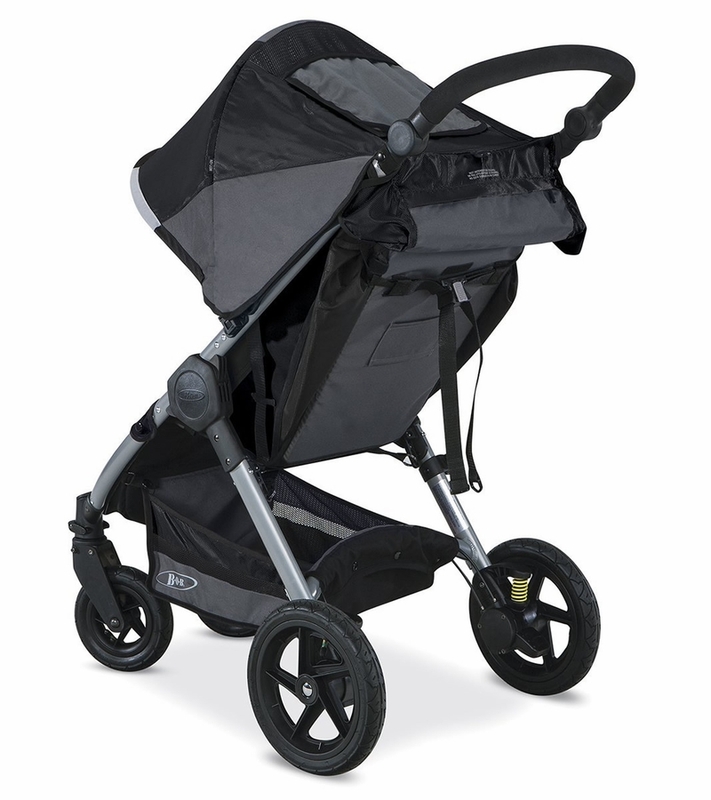 The Motion stroller is suitable from 8 weeks to 65 pounds. With the included Click & Go adapters, the Motion instantly becomes a complete travel system with matching BOB B-Safe Infant Car Seats or any Britax Infant Car Seat using Click & Go (infant car seats sold separately). 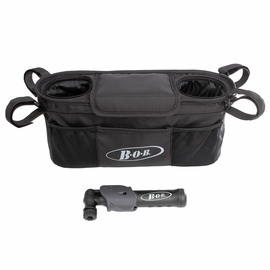 With the included CLICK & GO adapters, the Motion instantly becomes a complete travel system with matching BOB B-SAFE Infant Car Seats or any BRITAX Infant Car Seat using CLICK & GO (infant car seats sold separately). 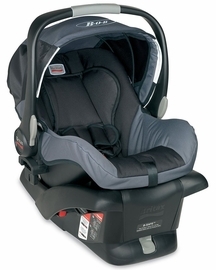 Also compatible with other major infant car seat brands when used with BRITAX Infant Car Seat Adapter Frame (sold separately). A BOB that's perfect for everyday! Love, love! This BOB Motion! It doesn't have that super easy push like the 3-wheel versions do, but living in New Orleans this fits EVERYWHERE unlike the other version. 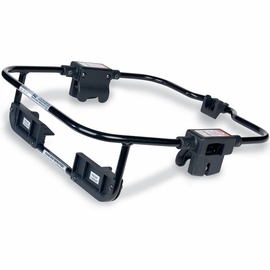 Best UsesEveryday use, but also pushes well on short grassy fields and gravel trails. Just a few negatives...no parent cup holder, kinda small basket and a little heavy but otherwise it seems great!!! Haven't used it for baby yet, but love it so far! As first time parents, my husband and I have spent countless hours researching everything and anything baby. 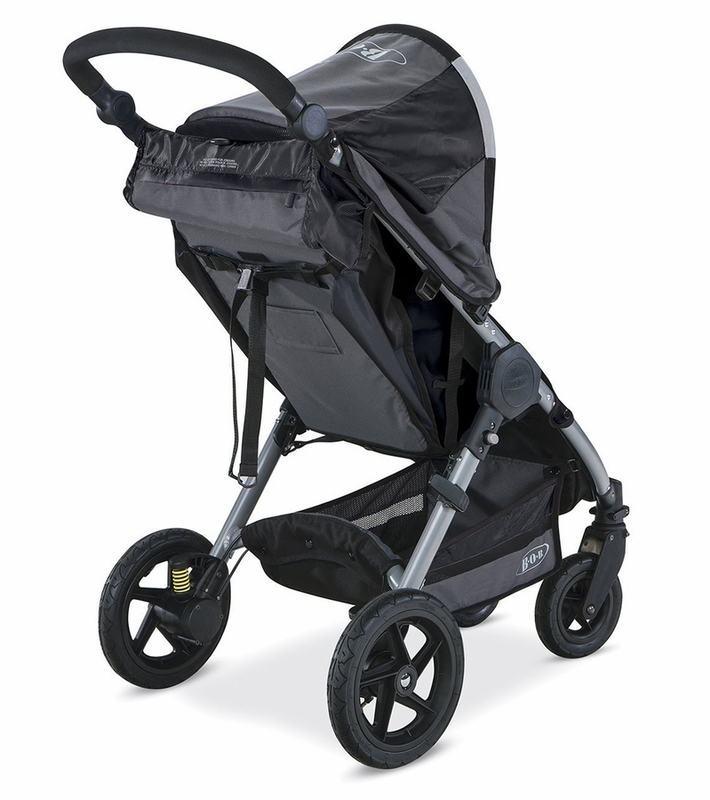 BOB was a recommended brand from 99% of our friends, so we checked them out and I fell in love with the BOB Motion stroller - a more "everyday" stroller that wasn't a jogger but still had the great ratings the BOB brand is known for. Of course, this stroller is pretty much impossible to find. Amazon, BBB, Toys R Us - not one of them had it in stock. A friend told me to check here and lo and behold, here it is AND IT'S ON SALE! So we purchased it, got it in the mail about 2 days later (very impressed with the shipping, btw) and set it up sans baby. It's pretty awesome. It took my husband and my 8 month pregnant self about 3 minutes to get it out of the box and set up and another minute to figure out how to close it and that was it. Less than 5 minutes! The tires ship flat, so we'll have to get those pumped up a bit, but it pushes fabulously on our carpet and tile (even with flat tires) and fits nicely both my 5'3" and his 6'0" frame. The recline is very simple to use, the harness looks difficult but ends up just being 3 parts and I'm happy to report there's just one giant "DANGER"/"WARNING"/"SAFETY" sign on the inside of the seat (I know they are important, but 1) is it really necessary to put 5 of them on a headrest? and 2) they look terrible). Baby will be here soon and we'll update, but so far, we really, really like the stroller. Also, I wanted it in black but once we realized how hard it was to find, I was fine with any color. The orange is actually not a bad color - is it my absolute favorite shade of orange? No, not really, but it's completely okay and I will obviously be fine. The hubs really likes the orange and is impressed with the shocks on the wheels. 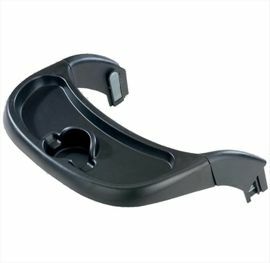 We have the Chicco Keyfit30 carseat in black but haven't purchased the adapter yet for it to use in the stroller. I imagine it won't be a hard installation. The carseat and stroller are supposed to be a fine connection from what I've read/researched. It was between this or the citi mini, this one folds smaller and I love the four wheels. I love the added optional bag in the back. I have a big Bob flex but it's too big for the car, so we got this as the car stroller and it's so nice to feel like I have the big one but compact. Love the big shade and the mesh window on top. I also enjoy the adjustable handlebar making it easy to use and to make it free standing when folded. It stand up on the back of my terrain and stays. Love the shocks and the wheels. 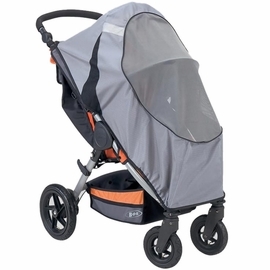 After doing a lot of research between this stroller and the City Mini GT we decided on this one because it has the air filled tires and suspension that would allow us to use it on all types of surfaces. We had seen each stroller individually but not side by side and it seems like the BOB has a much smaller foot print front to back and pushes just as easy (if not easier) than the City Mini. 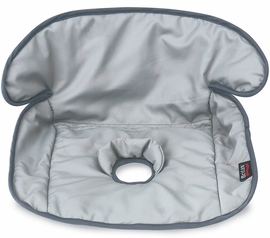 It also folds down extremely small and is easy to do one handed and to lift and put in the trunk of my SUV. It also allows the child to sit more upright than the City Mini GT which seems to lean them very far back. I would highly recommend this stroller and look forward to many more years of use! Super smooth ride. Love that it folds up easily and small enough we can just throw in the car to go anywhere. Our baby seems to love it too. I love this stroller! It's such a smooth ride now. 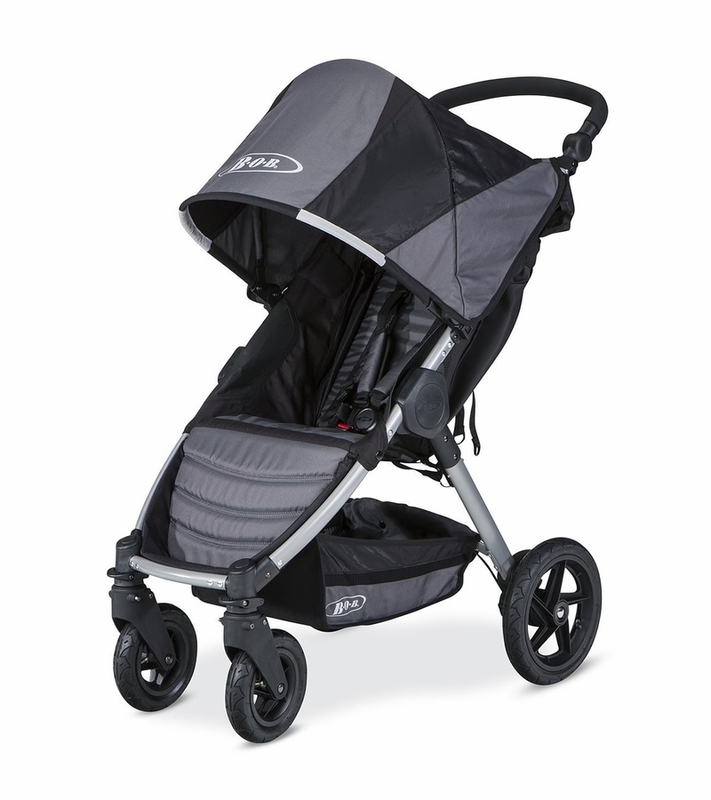 So much better for grass, gravel, bumpy sidewalks--for the non-jogging mom! I just would think for the money, the snack & parent trays should be INCLUDED! ProsNot too huge or heavy, pretty easy to fold & unfold & load. 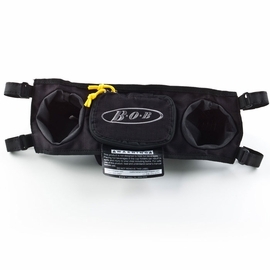 Best UsesGreat for the child who can't walk yet (developmental delays), but you want to take all kinds of places. But great for any child. 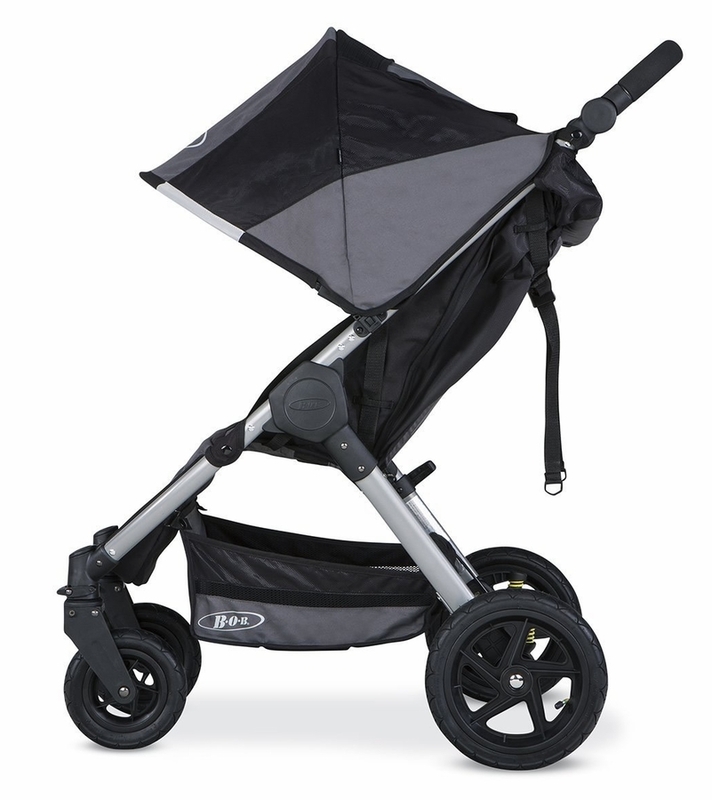 Folds easily with no complications, the rubber-air filled wheels are perfect for all types of terrain. Seat reclines almost flat, so baby can nap comfortably. Also really like the click and go system. not only does the car seat fit, but the Britax bassinet does too!Love love love this stroller! 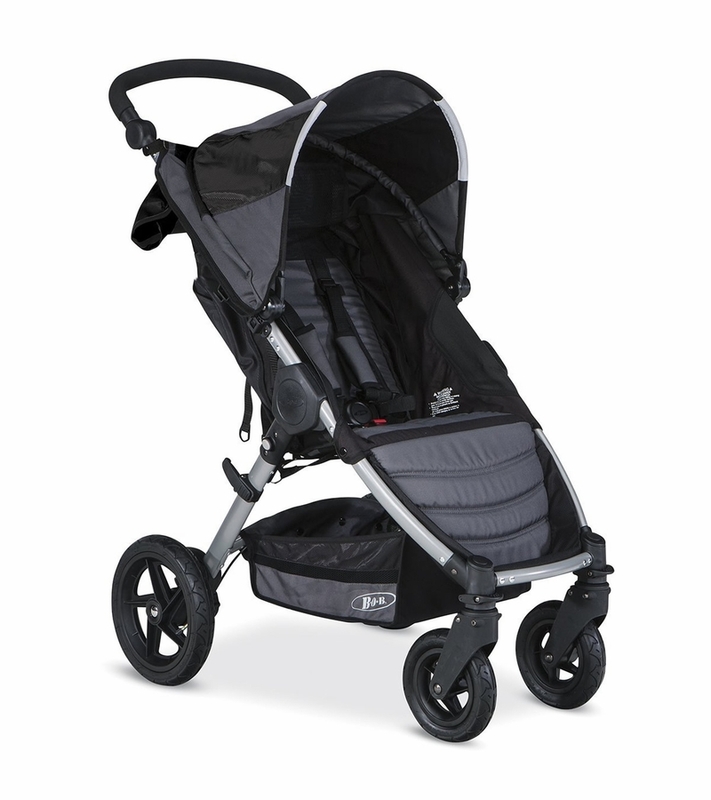 We do a lot of walking on rough/bumpy terrain, and this stroller is so smooth and easy to navigate. Folds down really well, too! Best stroller we've had....and we've had a few! My son is almost 2, and we've purchased, used, and sold about 5 different strollers. I kept finding reasons I didn't like them, reasons they weren't working for us, and reasons to buy something new. FINALLY, I bought the BOB Motion. I should have just bought this one when we were looking while I was pregnant. 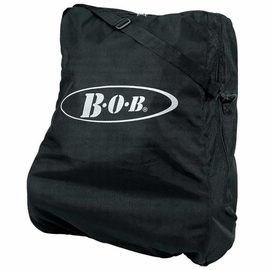 It's smooth, comfortable, easy to fold/unfold, durable, and the list goes on. 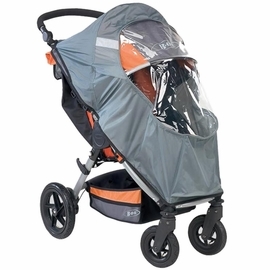 The sun shade is the best of any stroller we've had. It goes over everything, and my son just enjoys the ride! 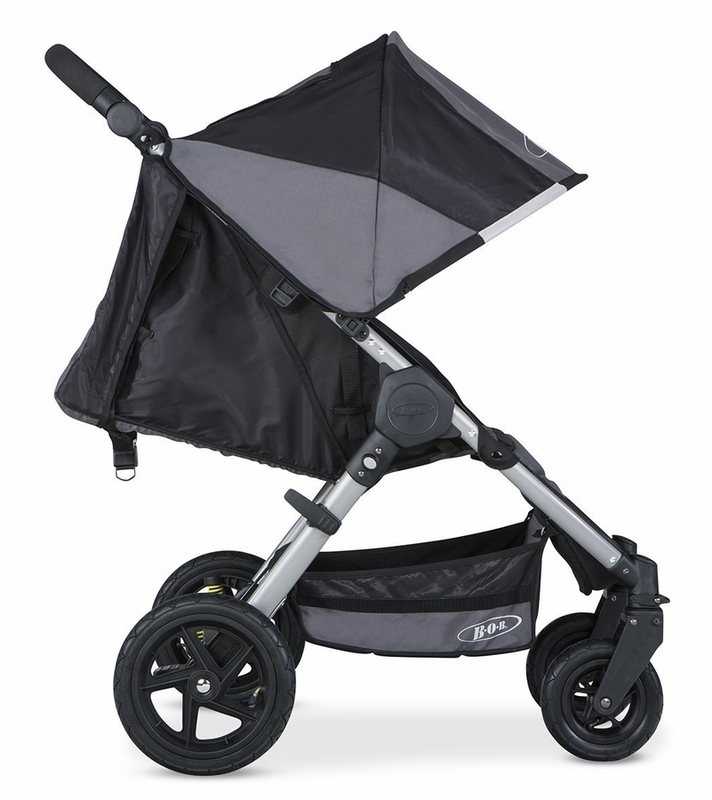 I highly recommend this stroller to anyone who is looking for excellent quality, durability, and versatility!